Craving travel? 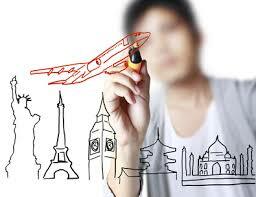 Want to study abroad but you do not have time or your school program does not offer study abroad options? I have realized in my international business program that it is possible to study abroad without actually leaving your campus or the comforts of your home. For students, studying abroad goes beyond traveling to a new country. How can you study abroad in your daily life? Get to know your classmates. More often than not, universities are attracting diverse students from throughout the world. Your classmates can give you an insider view of international cultures and customs. Get to know your professors. Similar to my note above, universities often recruit diverse faculty members. If you have a particular country of interest, you can reach out to professors to learn about their experience abroad and their research. Most professors love to share their experiences, particularly related to their research. Listen to international radio stations. TuneIn Radio offers over 100,000 radio stations that give you with an international music experience. Hearing foreign languages in music is also an effective way to improve language comprehension when you are studying foreign languages. Join university clubs that relate to your country of interest. For example, many universities offer salsa clubs, international sports clubs or food tasting events. I am participating in a wine and beer club to learn about wine and beer throughout the world. Attend local concerts and events relating to international cultures. Many cities offer international performances, art exhibits, and more to develop cross-cultural understanding in the community. All of these ideas help you have an inspirNational experience while living on campus, regardless of whether you are studying at your local university or a foreign university. What other ideas do you have to study abroad without actually studying abroad?